MoreWine! 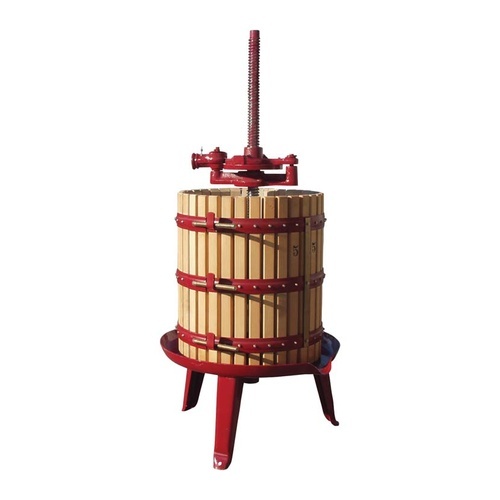 presents the classic, affordable wine press for the home user. Wood slats on the side with a painted base and stand. Additional sizes available upon request. Holds 34 gallons. 61" tall with a 20" diameter basket. Weighs 297 lbs.